With the recent release of the New Jersey State Park’s Motorized Access Plan (MAP) in Wharton State Forest, a number of questions have been raised about the plan, Pinelands Adventures and Pinelands Preservation Alliance (PPA). Below are some answers to those questions. I encourage you to reach out to us to learn more about our programs, our plans for the future and to stop in and visit. 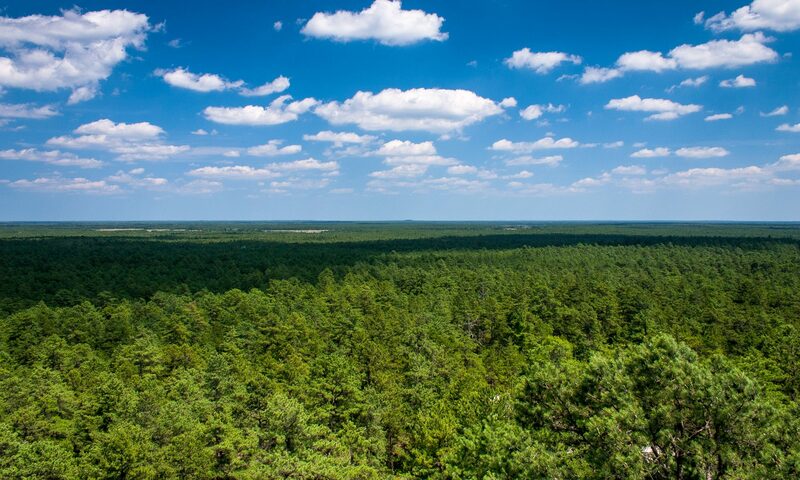 Pinelands Adventures was created by the Pinelands Preservation Alliance to share the Pine Barrens with everyone through low-impact, nature recreation and learning experiences. It is our hope that when people experience the Pinelands they will come to appreciate how important this natural resource is to all of us and will want to protect it. We offer self-guided paddling trips and livery services on the Batsto and Mullica Rivers, and also offer programs to include more fun and educational guided trips for individuals and families as well as scouts and youth groups, churches and other organizations. As the director of Pinelands Adventures, I’d like to speak to some of the concerns and objections we have heard about this initiative. Pinelands Adventures is wholly owned by PPA and all revenues it collects go back into running its recreation and education programs for the public, schools and community organizations. With grants from charitable foundations, PPA purchased the property and equipment of Adams Canoe Rental from Wayne and Maureen Adams, who were ready to retire from the livery business after more than forty years. PPA has invested much more than the purchase price in order for Pinelands Adventures to become operational. Wherever possible, we bought goods and services from local businesses and with local contractors. The purpose of Pinelands Adventures has never been and will never be to make money for PPA. Eventually, we hope to be able to generate enough revenue to cover our expenses but we expect that to take a few years. Pinelands Adventures does not have any unfair advantage over other liveries. Pinelands Adventures pays all of the same taxes as any other business including property and sales taxes. In addition, we pay numerous fees for business licenses and permits. Pinelands Adventures is not trying to compete with or take business from the other liveries in the area. In fact, by raising awareness of the activities available in the Pines, we expect that people will look into our offerings as well as those of Mullica River Marina/Bel Haven and Mick’s Canoe Rental. We know and hope that people will choose to take trips with these fine establishments as well as Pinelands Adventures. Pinelands Adventures is also governed by the same Wharton State Forest rules as everyone else, including the new Motorized Access Plan. Pinelands Adventures is made up of people who care deeply about the forest. Pinelands Adventures currently employs six people, two full-time and four part-time. When hiring a staff it was important to our mission to hire individuals who were from the community and brought local knowledge of the Pinelands. I am a 20-year resident of Salem County, New Jersey, and our team includes residents of Shamong, Tabernacle, Southampton, Marlton and Atco. Two of our staff members are 30+ year veterans of Adams Canoe Rental. John Volpa, Pinelands Adventures Director of Education, is a life-long resident of southern New Jersey with a passion for the Pine Barrens who taught sixth grade environmental science at Indian Mills Memorial School and spearheaded the creation of the Black Run Preserve. 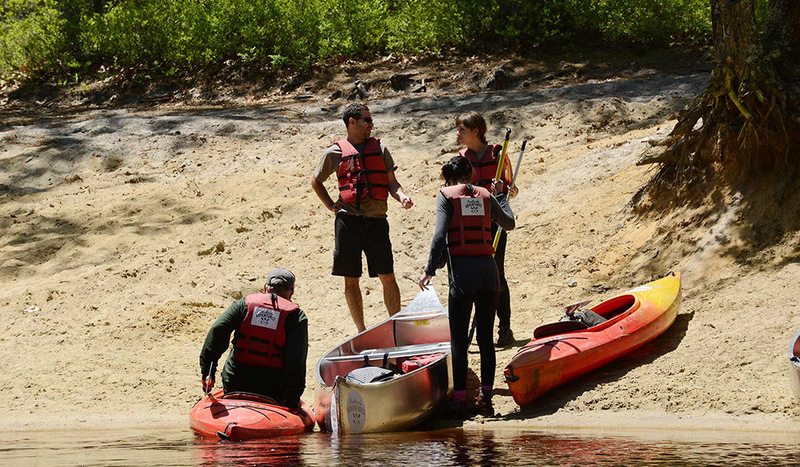 It is extremely important to PPA and to all of us who work at Pinelands Adventures to be good stewards of the rivers and forests where we take people to experience one of the world’s truly exceptional natural resources. We will limit traffic and impact on the rivers and we will always be open to constructive ideas about how to help take good care of Wharton State Forest. What is the Motorized Access Plan? The MAP was created by the State of New Jersey as a means of reducing the damage that some motorized vehicle users have done to natural resources (and to key roads the Forest Fire Service needs to do its job). It consists of a driving map and brochure that delineates the 225 miles of sand and gravel roads that are open to motor vehicle traffic. You can download the Motorized Access Plan Map here. The New Jersey Department of Environmental Protection also release an FAQ about the Plan recently. Does the MAP give Pinelands Adventures favorable access? No. We have to operate by the same rules that others operate by when accessing roads in Wharton State Forest. Pinelands Adventures is in the same boat as Micks, Bel Haven and the general public. In fact, we and the other liveries must apply for permits and pay fees in order to operate in Wharton State Forest. The State Forest tells all the liveries where they are permitted to put people into the rivers and take them out, and all these access points are also open to any member of the public. Does Pinelands Adventures support the MAP? We support the efforts of the New Jersey State Park Service and Department of Environmental Protection to protect the natural and cultural resources of Wharton State Forest. We see the evidence nearly every day of illegal activities and the behavior of people who seem to have little concern that their activities are wrecking roads for others or causing irreparable harm to sensitive areas of the forest. It is too bad the State Forest finds this step is needed, as it does mean that responsible users cannot drive along some sand roads they have been used for a long time. While these roads are still open to hiking and other activities, some places may by inaccessible to those who used to get there by car or truck. The State Forests do have policies to provide special accommodations for those with disabilities. We hope that over time some roads will be reopened to cars as the culture of destruction disappears and the State Forest can rely on all visitors to respect the forest. It is important to understand that the plan was created by the State and not by Pinelands Adventures. Isn’t more law enforcement required to make this work? Yes! We believe that more resources (staff, equipment, etc.) are needed for the State Park Police to enforce the laws and stop illegal activity in Wharton State Forest. What is Pinelands Adventures’ relationship to the State Park Service? We hold a permit to operate as a canoe and kayak livery to access Batsto and Mullica Rivers and to rent boats to campers at Atsion Lake. We function the same way that Adams Canoe Rental operated for more than 40 years and as the liveries do in Wharton State Forest. If you have questions about the State’s Motorized Access Plan, you may contact the Wharton State Forest office. You may also view the Motorized Access Plan Map here. Rob Ferber is the Director of Pinelands Adventures.